As the fledgling United States settled down to the business of creating its own political reality, the European maelstrom tossed many skilled artisans onto American shores. One of these immigrants was John Reich, a German engraver caught up in the Napoleonic Wars who paid for his passage through indentured service. After arriving in the United States, his talents came to the attention of Thomas Jefferson, who as early as 1801 recommended his appointment as assistant to Mint Engraver Robert Scot. The latter would have none of this, looking upon an assistant as more of a competitor than a helper. Nevertheless, Chief Coiner Henry Voigt redeemed Reich’s servitude and gave him various jobs at the Mint, although he wasn’t allowed to design coins. Finally in 1807, with the support of the new Director Robert Patterson and with Jefferson’s approval, Reich was given the job of Assistant Engraver. 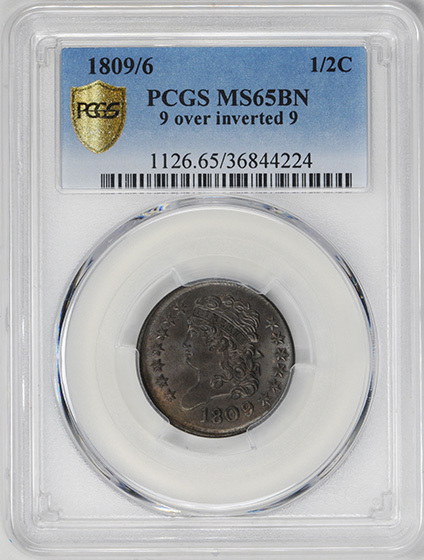 He was promptly assigned the task of redesigning all the coinage, working first on the half dollar and half eagle, next on the cent and quarter eagle and, finally, in 1809 on the half cent and dime. In 1825, probably due to the growing shortage of small change, half cents were ordered by Jonathan Elliott & Co. of Baltimore. 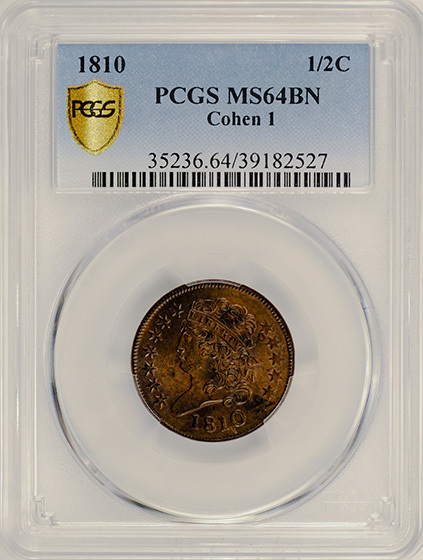 Reich’s Classic Head design was modified by the new Chief Engraver, William Kneass, for what was predicted to be heavy demand for this denomination. Unfortunately, demand never met expectations, and by 1829 hundreds of thousands of half cents again sat in the Mint’s vaults. Coinage ceased until 1831, when another large order was received from the merchant Washington Cilley. Kneass again used Reich’s design but made new device punches and further revisions, including modifying the date and lettering and adding a raised rim on each side.